ROUND REVIEW: Turda, Dudelange, Sporting and Valur are the first four Men's Challenge Cup quarter-finalists. 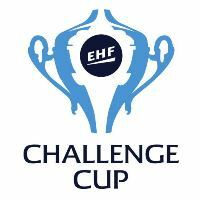 The Last 16 matches of the Men's Challenge Cup are well under way with the first four quarter-finalists now revealed. After losing at home to AHC Potaissa Turda 27:31 Handball Esch had a lot to do to make it into the quarter-final in the two teams' second battle this weekend. Despite coming back from a 16:10 deficit at half-time in their away match in Romania to win 29:28 it was not enough to secure a berth for the Luxembourg side. Meanwhile another three quarter-finalists emerged after double-headers this weekend. The most dramatic of those was played in Tivat, Montenegro, where RK Partizan 1949 hosted Icelandic team Valur. Both matches ended in a draw. On Saturday the two teams drew 21:21 and the following day saw another stand-off, 24:24 this time. The result means Valur go on to the quarter-final by having scored more away goals, with the match on Sunday their technical away match. Sporting CP secured their spot in the quarter-final in the first of their two home games against HC Pelister Bitola from Macedonia, winning 32:18. This meant that Sporting could take things a bit easier in the Sunday match, and that was exactly what they did in the first half, which they won narrowly 15:14. In the second half Sporting ran off and won 35:26. After Esch's exit HB Dudelange made sure there would be a Luxembourg team in the last eight in their two home games against HC ZNTU-ZAB Zaporozhye. Dudelange won the first match 32:27, which meant that they could take the 27:25 defeat Sunday and still proceed. MSK Povazska Bystrica from Slovakia are close to following those four to the quarter-finals after winning 30:19 at home against JMS Hurry-Up from the Netherlands, while there is tension in the tie between another Slovakian team, HKM Sala and TSV St. Otmar St. Gallen from Switzerland, after Sala only managed to win 30:27 at home. Together with two further double-headers, the second leg of those two ties will determine the remaining quarter-finalists next weekend.